A growing number of Medicare beneficiaries receive their care through HMOs and PPOs, known as Medicare Advantage plans. Yet little is known about the size and scope of the provider networks available to them, and participants can face significant expense if treated by an out-of-network provider. A new study from the Henry J. Kaiser Family Foundation looked at Advantage plans in 20 diverse U.S. counties (accounting for 14% of those enrolled in Medicare Advantage plans nationwide in 2015) to evaluate how these provider networks are structured. 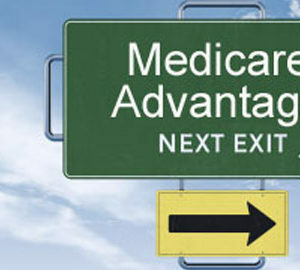 Medicare Advantage plans are appealing to many cost-conscious seniors because 1) they include prescription drug coverage; 2) they often include dental care, eyeglasses, gym memberships and other services; and 3) the premiums are substantially less than a traditional Medigap Plan (Medicare Supplemental Insurance) plus Part D drug plan. The number of choices can be overwhelming. For example, in Cook County (which includes Chicago), eight different insurance companies are selling 19 Advantage plans with ten different provider networks.